The export of North Carolina products, especially our incredible agricultural products, is crucial in the rebuilding of our economy. To help achieve this goal, under the leadership of our Agricultural Commissioner, the Transportation and Commerce Secretaries, we gained approval to bring needed refrigeration to our Wilmington Port for our cold food chain exports. This will be one step forward that we must have to increase exports. We appreciate the support of the Council of State and the teamwork between the departments of Commerce, Agriculture and Transportation in advancing this important, job-producing project for the State of North Carolina. Why do we need a refrigeration facility? Europe is buying our pork, chicken, turkey and game. Without a means to store the perishable meat at the port, North Carolina would not be able to engage in this type of commerce. North Carolina exports more than $3 billion worth of agricultural products each year. 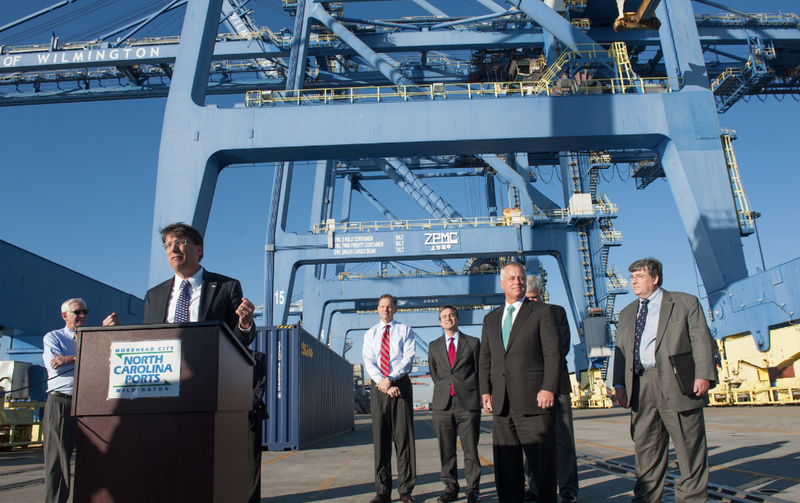 Upgrades to the Port at Wilmington will help our farmers and agribusinesses boost that number even higher. The cold storage facility is a vital piece of infrastructure that our producers have needed for a long time, and I’m happy that a public-private partnership will be able to make it a reality. Global Trade Magazine featured Port of Wilmington Cold Storage in a recent article.